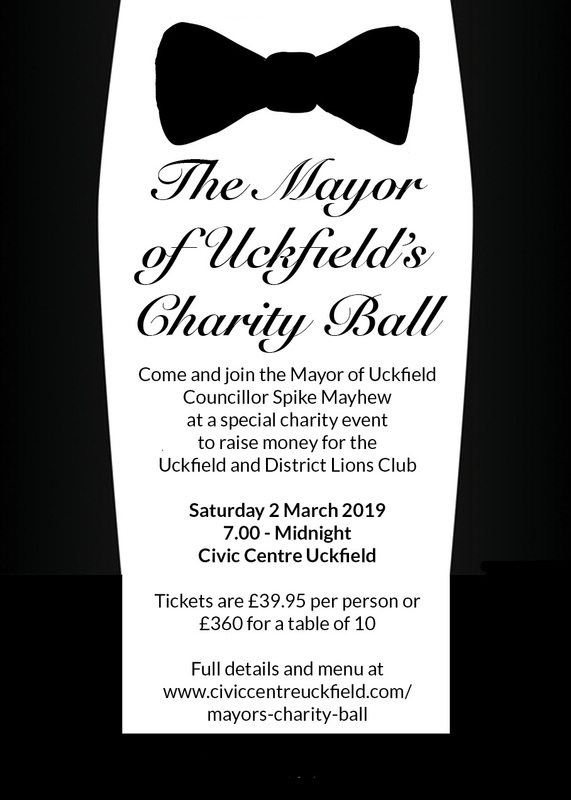 The Mayor of Uckfield, Councillor Spike Mayhew, has announced a special charity ball to be held on Saturday 2 March at the Civic Centre in Uckfield. The ball will be raising funds for the Uckfield and District Lions Club which has been collecting money for good causes since 1969. The event, which is black tie, will take place in the Weald Hall and, with a three course-dinner and a 70s/80s disco playing all the floor-filling favourites, it is set to be a special night. Residents and local businesses can buy tickets to come along and enjoy the evening. Tickets are £39.95 including a glass of prosecco on arrival. Tables of 10 can be booked for £360. The ball is also being sponsored by Carvills Furnishings Limited, The Flower Shop and Uckfield FM.